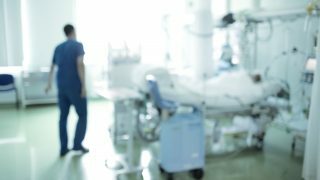 UNISON members working at three hospitals in Lancashire are on course for industrial action over plans to outsource their jobs to a new company, set-up and owned by the NHS trust, in May. Members at the Wrightington, Wigan and Leigh NHS foundation trust voted to reject the plans and ask the union for a strike ballot by 93% in a 79% turn-out. Nearly 900 NHS staff who work in estates and facilities across the trust’s three hospitals are threatened by the plan to outsource them to the wholly owned subsidiary company, WWL Solutions. They are worried that their terms and conditions could be cut, that new starters will get inferior pay and pensions, and that they could all ultimately be moved to a private-sector company. 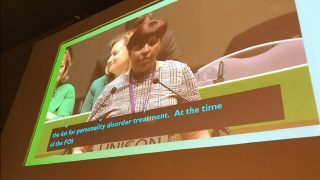 UNISON North West regional organiser Sean Gibson said the consultative ballot had shown staff members’ “deep concern” at what he said were damaging proposals. “Good quality catering, cleaning and portering services are all crucial to the efficient operation of the hospitals and to the experience of patients. “The staff performing these roles form a key part of the NHS team and they should remain in the direct employment of the Trust – not pushed away into an outsourced separate company. He said the union will start steps toward an full industrial action ballot, while continuing negotiations with the trust and pressing it to change its plans. Consultative ballots are taking place in a number of NHS trusts around the country, over plans to create wholly owned subsidiary companies to employ staff. 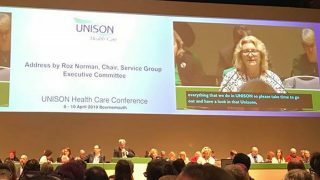 But the union was celebrating in the South West at the weekend, after a UNISON campaign saw the North Bristol NHS trust abandon plans to outsource hundreds of workers to a subsidiary company. More than 1,000 staff at the trust signed a petition co-ordinated by UNISON against the plans, which were also opposed by Bristol’s four Labour MPs following briefings from UNISON detailing the problems they could cause for patients. 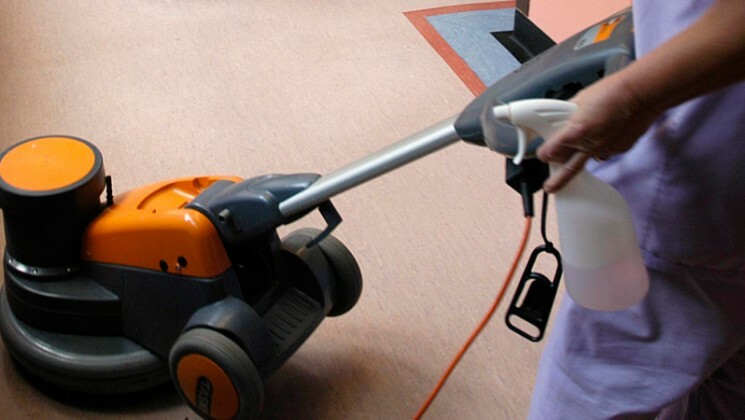 Workers including porters, caterers, and medical equipment cleaning staff at Southmead hospital will now remain within the NHS. This means their wages, sick pay and pensions will continue to be protected by national NHS agreements. “Patients and staff at Southmead are breathing a sigh of relief today,” commented UNISON regional organiser Christina Cooke. “Thousands of staff at Southmead made it clear to hospital bosses that they are one team. They won’t give up their NHS badges without a fight. 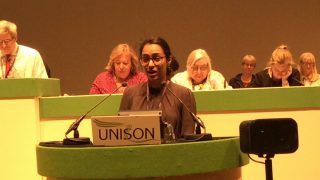 “UNISON told the trust board how concerned staff were, and I’m glad they’ve listened and changed course. “The NHS is still under colossal pressure. UNISON will be working with Southmead hospital to manage pressures on staff. Credit unions in the North West region include Blues and Twos, Manchester Credit Union, Partners and South Manchester. Credit unions in the South West include Bristol, City of Plymouth, Kernow, Plough and Share, Solent and United Savings and Loans.